Andreas Felber was born 1983 in Lucerne, Switzerland. He was member of the boys’ choir «Luzerner Sängerknaben» where he got his first singing lessons. In 2007 he finished his studies in conducting and singing at the Lucerne School of Music with distinction. 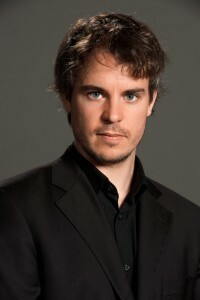 Andreas Felber is musical director of the Swiss choir «molto cantabile» with which he won several prizes at international choral competitions. Since 2010 Andreas Felber is conducting the Swiss National Youth Choir with which he was guest at numerous festivals all over Europe. His work as a conductor led him also to the opera. At the «Luzerner Theater» he had the possibility to work as a guest conductor. Since 2009 he is the 1st Kapellmeister at the Stadttheater Sursee where he conducted plenty of performances and one year later he was appointed principle conductor of the Walenseebühne. Andreas Felber will be musical director of the professional «Davos Festival Chamber Choir» in Summer 2014.